A police officer stood duty by the cathedral’s front door. In all the times we’d gone inside, we’d never seen a guard before. But Wednesday’s noontime service was no ordinary service. The explosive grand jury report that had been made public the day before made it no ordinary day. Since our office is next to St. Patrick’s Cathedral—the Harrisburg, Pennsylvania, Catholic Dioceses’ mother church and seat of its bishop—on occasion, when we are in our office, we will attend the noontime daily service. Even though we are not Roman Catholic, the sanctuary’s splendid beauty, the quiet simplicity of the ritual and service, and the brief respite from the outside world and its troubles all create a welcome haven for us. The presence of the officer outside gave us pause to consider that perhaps the service wasn’t going to be so calming and placid this day. But thankfully there were no disruptions, no violence, no outbursts about the damning revelations made public just a day earlier: more than 300 Pennsylvania priests had been alleged to have sexually molested, raped, or violated more than 1,000 children since the 1940’s. The Catholic Church was being accused of systematically covering up and protecting the priests and the bishops who knew of their actions. More allegations and more survivors are expected to emerge as this horrendous drama unfolds. When the presiding priest stood in the pulpit to give his brief homily, he gained an increase in our respect when he immediately confronted the issue at hand. He indicated he did not feel much like celebrating that day; the news of the previous day had drained him of any gladness and joy. In the days since last Wednesday, the cathedral has held a special service of forgiveness for the church’s complicity in the scandal and has announced a year-long effort toward healing. When reputations and protection of an organization become more important than the protection and care of children, the priest intoned, we have a right to be disappointed, confused, and disillusioned. Yesterday morning, on National Public Radio’s Weekend Edition news and analysis broadcast, one of the main stories was focused on the allegations and the grief and pain so many feel about them. Interviewed were several Catholic parishioners in a Pennsylvania parish. Their sadness was unmistakable. Their church was under attack from within and without. They didn’t know where it would lead. To a person, each acknowledged the horror of the alleged events. Many noted that when we interject humans into any situation there will be, so much of the time, broken trust and fractured lives. But several also wished the story would simply go away, that they could just more on, and that these sensational headlines would not be so predominant. We certainly understand those feelings. The healing that needs to be done will certainly be disruptive, heartbreaking, and filled with grief. It will not be easy. It will not feel good. There is undoubtedly much more under the surface that has yet to emerge. When it does, it will cause even more anguish and deep searching of the soul. But we believe this story must not simply go away. We believe the Church must not just move on. We believe the headlines need to continue to dominate until sufficient light is shed and accountability is taken and the young lives so searingly torn asunder, whether 70 years ago or seven days ago, can begin to tell their stories without fear or embarrassment or recrimination. 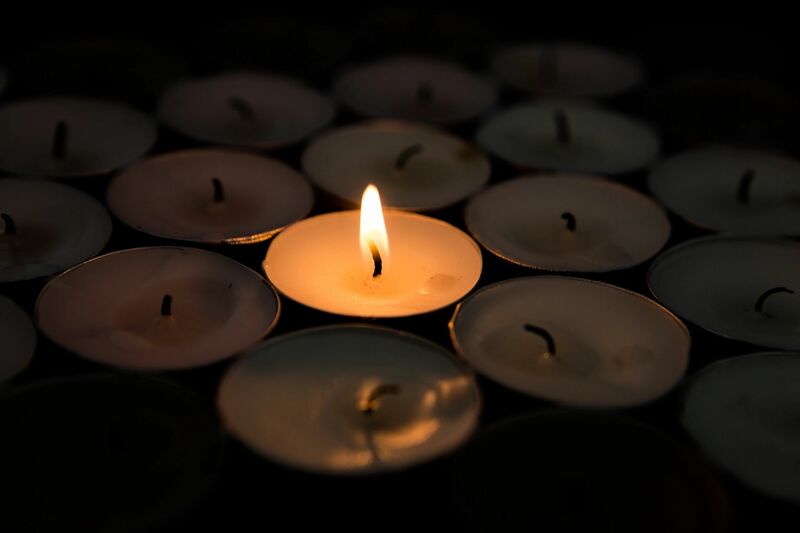 We believe not just the people of the Catholic Church, but of every church, every organization, every school, every business, every community that has in it anyone whose innocence has been cruelly and violently taken away by abuse must allow the light to shine on their deepest, darkest corners of shame. Healing cannot happen unless this happens first. Stopping the abuse will not take place unless abusers know their actions will not be hidden anymore or swept under suffocating rugs or denied by those who just cannot believe these horrors are taking place. We listen to the voices of those who have been abused more often than we can number. The wrenching stories of what the abuse has wrought can last a lifetime and affect an exponential number of other lives as it festers. People need to tell their stories without shame. They need to be safe. They need to be assured that others are standing guard to protect them and help them heal. Someone To Tell It To believes it has a sacred responsibility to speak out about abuse; we know it is unbelievably widespread. That is why for our annual gathering this year, we have invited Sterling Riethman, one of the brave young athletes who spoke out about the abuse she and more than 250 others endured by Dr. Larry Nassar. On Sunday, September 30, at 5:00p.m., on the grounds of beautiful Allenberry Resort in Boiling Springs, Pennsylvania, Sterling—a recent recipient of the Arthur Ashe Courage Award—will speak about her experience as a survivor and as an advocate for others whose innocence was stolen by those she should have had the right to trust. We want to do our part to help everyone know that darkness and shame need not have a place in their lives anymore.